Experience Premium Luxury and Comfort at a Budget-friendly Price Tag! Ahmedabad is a city that continues to go through massive development in physical & social infrastructure. There is something about this city that cannot be explained, but only experienced! The real estate market in Ahmedabad has evolved over the years and has a lot to offer today. 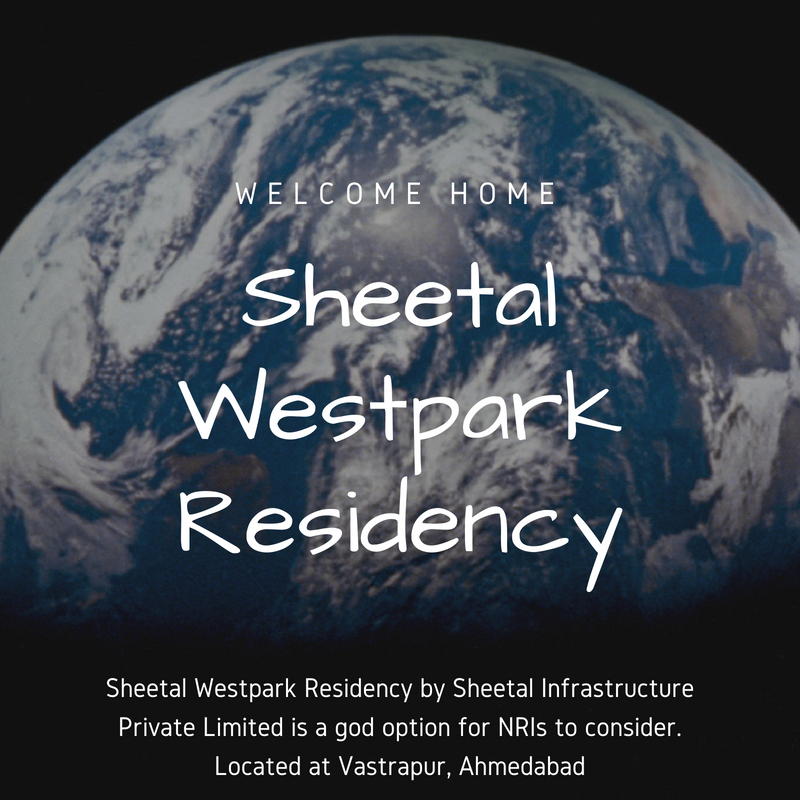 Sheetal Westpark Residency is a glorious residential project in Ahmedabad by Sheetal Infrastructure that offers premium luxury and comfort that will surely make you glad! This residential development sits over extensive acres of land and offers 3BHK, 4BHK luxury apartments with apartment areas starting at 1585 sq. ft. and going up to 2415 sq. 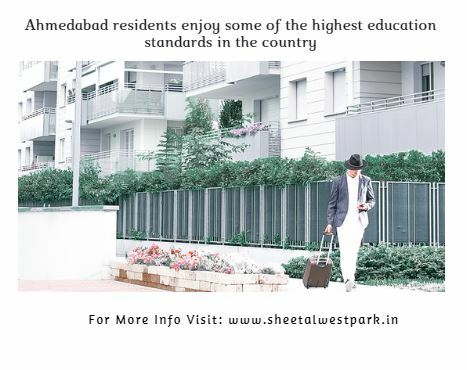 ft.
Sheetal Westpark Residency Ahmedabad is a residential development that offers premium luxury from head to toe! You will find apartments that provide natural lighting, beautiful air flow and contain sleek fittings & flooring, beautiful modular kitchens with high-quality granite tops, strong door and windows providing landscape views, multiple safety features and more. This development also offers the finest range of external amenities that include a yoga and meditation centre, swimming pool, library, dance hall, dedicated cricket net and volleyball court, hi-tech gymnasium, swimming pool, multiple sports facilities, cricket net, dedicated tennis and volleyball court, large central garden, swift elevators and well-trained security. Situated at Vastrapur in Ahmedabad, Sheetal Westpark Residency Vastrapur has a number of landmarks in its vicinity and offers a convenient lifestyle that is truly satisfying! Places like schools, colleges, hospitals, malls, shopping centres, supermarkets, banks, ATMs, cafes, restaurants, convenience stores, and a lot more can be accessed within a matter of minutes. 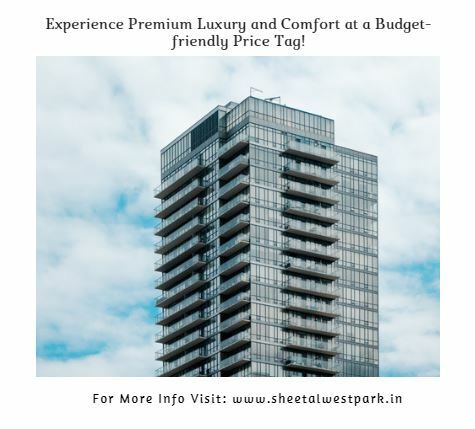 Starting at a brilliant price of Rs.89.55 lakhs and going up to Rs.1.36 Cr., Sheetal Westpark Residency Price is reasonable and definitely worth a buy. If you are looking out for premium luxury at a cost-effective price, this development is where you need to be!